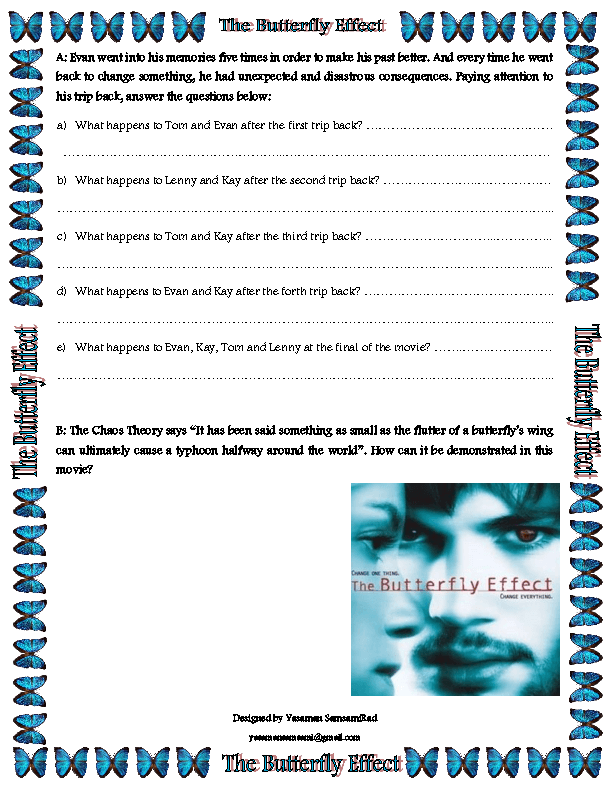 I have designed this worksheet based on the film, The Butterfly Effect. It includes two activities and it is appropriate for intermediate and upper levels. Hope it helps.